RYANAIR IS EXAMINING whether it can cut fares for passengers by reducing the number of toilets on board its planes. Chief executive Michael O’Leary says the airline is looking into the possibility of having only one toilet on aircraft that it orders in future – potentially allowing for more seating in each individual aircraft. A spokesman for the airline today explained that the move could potentially reduce passenger fares by around five per cent, by allowing planes to carry a greater passenger load. The plan would involve the removal of the two toilets at the rear of the aircraft, which the airline says would free up enough space for three seats on each side of the aisle – six in all. O’Leary told reporters at a press conference in London that the idea would be pursued with aircraft manufacturers, but that it was not intended to apply the plan to aircraft already in use. The airline is due to receive 40 new Boeing 737-800s in the coming months, which will also be laid out in line with the current system – with one toilet at the front of the passenger cabin and two at the rear. O’Leary also told reporters that the airline was ruling out the prospect of charging passengers for the use of toilets during flights. A spokesman today said the proposed new layout would only be used on flights travelling short-haul distances. The proposal would not be the first unusual proposal taken by the airline to fit more passengers into each aircraft: last year the airline announced plans to experiment with so-called ‘standing seating’. That proposal would see passengers harnessed into a vertical seat, allowing for the possibility to fit more passengers onto each flight, though such flights would also retain a degree of traditional seating. Email “Cutting down on toilets could cut passenger fares - Ryanair”. 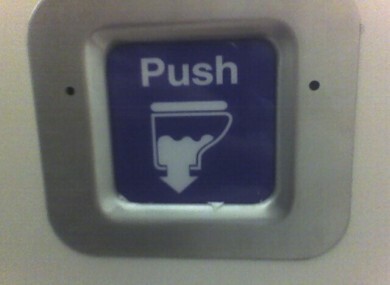 Feedback on “Cutting down on toilets could cut passenger fares - Ryanair”.